NSA whistleblower Edward Snowden is on the move. Stories have him leaving Hong Kong and now on the move to Equador, or Cuba or Russia. The extradition request from the United States it seems, was a day late and a dollar short. But the most interesting question is this: The president promised to put an online petition on the White House website. Having done so, there is now a petition out there closing in on the 100,000 signature threshold to be reviewed. 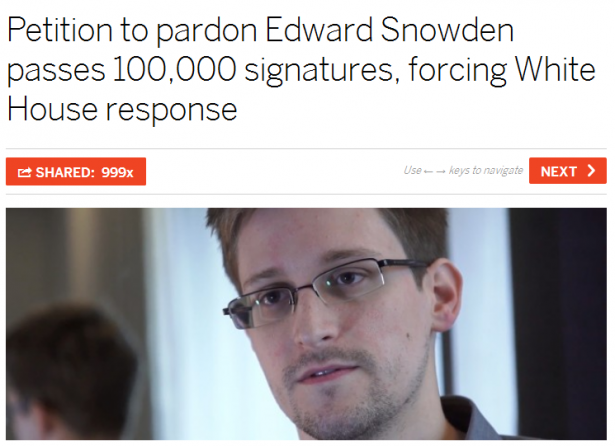 The petition relates to Edward Snowden and seeks to have him pardoned for leaking the information he has leaked. President Obama will now be forced to weigh in on the public's desire to pardon PRISM whistleblower Edward Snowden, despite a carefully crafted effort to neither praise nor condemn him. A We the People petition titled "Pardon Edward Snowden" reached the requisite 100,000 signatures Saturday morning. By the Obama administration's own rules, any petition that reaches that threshold will receive a formal response from the White House, though there’s no formal timetable for the official comment. What the president decides to do with the petition is an interesting point. 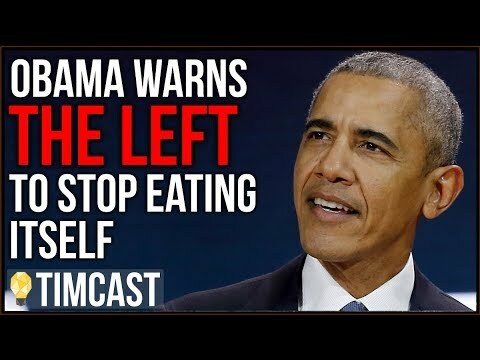 He could agree, he could go the route of a representative republic and say it is not in the public's best interest to pardon Snowden, or he could obfuscate and stall (or defer in more delicate terminology) - after all, bringing Snowden to America, prosecuting him and then considering a pardon may take long enough to outlive the presidency of Obama. I wonder what Hillary Clinton would have to say on the decision. Speaking of which, has anyone asked Clinton what she thinks of the NSA Prism scandal? Shouldn't they? For Snowden, he will likely be able to find someplace happy to take him in and not extradite him back to America. But the hunt for Snowden has taken on political significance too. It is no longer just a matter of national security. The administration is using national security as a shield to protect itself from the scandal and the charges of hypocrisy directed at the president. No matter what the president does, he risks further damaging his brand. Though each option also presents some opportunity as well. Given the dizzying array of scandals facing the president, damage it seems, is far more likely a result. Agreeing to exonerate Snowden is probably the most noble approach for the president. It's in line with his pre-election claims of transparency. But there's that little problem of non-transparency, duplicity, and hypocrisy after his first election. Disavowing the petition of course is blatantly anti-democracy in the eyes of many of his supporters, and hemming and hawing about these things will take time to sort themselves out is equally disingenuous (a la the Keystone pipeline non-decision. No matter what happens, Snowden should have no misconception that his fate, petition-wise, will be dependent on the political calculus of what works for president Obama, and not on the merits of the petition.